Norland Bristol Log Cabin: The Norland Bristol features two rooms, the second room does not have the door cut into the walls. This allows positioning of the door to suit the garden. It can be put into either side or the rear gable. 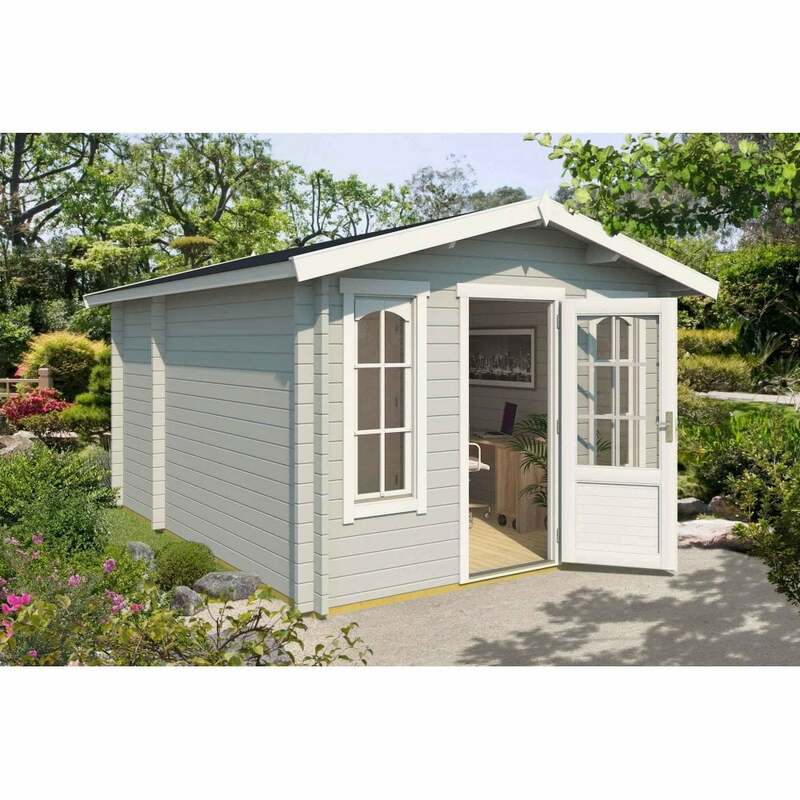 It features double glazed windows and doors featuring tilt and turn operation making this cabin ideal for efficient and comfortable year round use. There is the option to purchase roof insulation if you want to further enhance this building for use throughout the whole year. This building will be delivered in kit form and has interlocking corner joints for a classic appearance and straightforward build. CABIN IS DELIVERED UNTREATED. Image shows treated wood – this is for illustration only.